Canadian authorities have arrested the chief financial officer of the Chinese Hawawi Company in Vancouver. 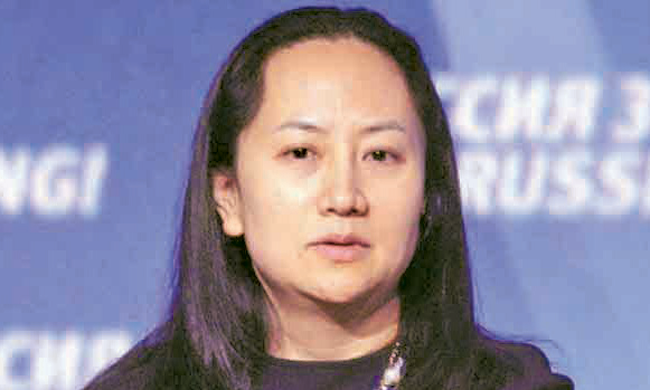 Canada's Justice Department said Meng Wenz, the daughter of the founder of the China-based telecom company, could be handed over to the US. He was told that he was arrested on the sanctions imposed by the US. He is said to have been arrested on the 1st of this month. He is being investigated in the Canadian court today. The Chinese Embassy demanded the release of the arrested Meng. China fears that the incident could be more severe in its relationship with the US. Reuters news agency reported that US officials are investigating Huawei company since 2016, breaking the US Export Restriction Act and exporting Washington's products to Iran and other countries. The arrest has taken place in the face of a close relationship between the US and China. China has demanded to release him along with him. A Chinese Foreign Ministry spokesman told reporters, "We have set up international shields for Canada and the United States in order to clarify the cause of this arrest and defend her legally and protect her." Huawei is one of the world's largest telecommunications equipment and services companies. The company recently turned Apple into the company and became the second smartphone manufacturer in the world after Samsung.